Will Real-Time Prompts Be a CDI Game Changer? Speech recognition technology with instant documentation feedback could spawn greater specificity and a host of other benefits. Imagine this: A physician dictates a note using speech recognition. Within seconds, he or she receives feedback on the screen in real time, including prompts for greater specificity, such as whether diabetes is type 1 or 2 or whether congestive heart failure is acute or chronic. Although the technology isn’t yet on the market, several vendors say it likely will be by the end of this year. Experts agree that a real-time prompt feature has the potential to significantly assist with clinical documentation improvement (CDI), ICD-10 adoption, meaningful use, and other documentation-related initiatives. 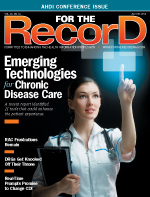 For hospitals, the major advantage is that real-time clarification not only helps pave the way for ICD-10 by teaching physicians what they need to document, but it also leads to greater documentation accuracy and better patient care, says Victoria MacLaren, product manager for SpeechMotion. Physicians don’t need to review the chart and recall information from several days ago. They can clarify information immediately and then have it available when other healthcare providers make care decisions. Real-time prompts can also be used to reduce medical errors, says Bernie Keppler, CEO of NLP International Corporation. For example, if a physician dictates 50 mg of a medication that was previously documented at a 500-mg dosage, the technology should create a prompt at the time of dictation questioning whether this is correct. A major advantage for physicians is that real-time prompts can greatly increase documentation quality without affecting productivity, says Juergen Fritsch, PhD, chief scientist at M*Modal, which is currently beta testing real-time prompting capability. When questions are posed in real time, there’s less disruption in a physician’s workflow and his or her productivity increases, Fritsch says. “For physicians, this is exactly what they want. They want to see this right at the time they document, not a day later or three days later,” he says. An indirect benefit is that as physicians become accustomed to documenting greater specificity in the hospital setting, they will also likely begin to document greater specificity in their own offices, says Karen Farrell, director of healthcare solutions marketing at Nuance Healthcare, which is beta testing a computer-assisted physician documentation (CAPD) product that will offer real-time prompts with both back- and front-end speech recognition workflow. Despite the technology’s potential benefits, speech recognition vendors continue to grapple with this question: What’s the most effective way to prompt physicians for more information? Experts agree that to be effective, real-time prompts require a delicate balance between asking appropriate questions to clarify documentation and not overwhelming physicians and disrupting their workflow. The tendency for HIM professionals, physicians, and others is to mistakenly equate real-time prompts with computerized physician order entry (CPOE)-type alerts, Fritsch says. “Alerts have such a negative connotation for physicians. They have grown to ignore those [CPOE] alerts,” he says. The challenge for speech recognition vendors is to develop an intuitive tool, Keppler says. Physicians should be able to easily dictate into a microphone or a mobile device, and the speech recognition technology should convert the speech to text, analyze it, and then prompt the physician with follow-up questions. The timing of the prompt is extremely important, Keppler says. Ideally, prompts would occur within two to three seconds of a spoken word. The longer it takes for the system to respond, the less interactive the experience will feel to physicians and the less likely they will be to respond, Keppler says. Interactivity is key, according to Fritsch. One approach is to incorporate a Siri-like technology into the process, enabling the technology to interact with physicians via a dialogue. “In certain situations, this seems to be much more acceptable to physicians—if you have this dialogue going, that’s much more engaging,” he says, adding that this also simulates more of an actual CDI workflow. Users must be front and center as the technology is developed and refined, Farrell says. For example, inserting questions off to the side of a document rather than directly in front—as is often the case with CPOE alerts—can be very helpful, she says. As with any formal CDI program, questions prompted to physicians must be nonleading in nature, which is something even the most seasoned CDI professionals struggle with, Farrell says. Queries must be compliant with Centers for Medicare & Medicaid Services and AHIMA requirements, and physicians must be able to easily understand what they are being asked to clarify, she adds. Regardless of the questions, MacLaren says the technology must be smart enough to consider documentation that already exists within the record before prompting physicians for more information. This review process is no different from the one that CDI specialists use before querying physicians. Prompting physicians for information that already exists somewhere else in the record will likely discourage them from responding, MacLaren says. Still, the technology must be sophisticated enough to scan some—but likely not all—of the record before prompting a question, MacLaren says. If the technology scans too much of the record, it could begin to prompt the physician incorrectly because it’s analyzing and comparing a more massive amount of data, she notes. There’s also the question of how the technology will handle physicians who refuse or are unable to answer prompted questions. Keppler says vendors must address this dilemma from a technological standpoint so that physicians don’t purposely or inadvertently avoid answering a question. “When a doctor can’t—for whatever reason—respond to particular feedback from the system, he or she should continue to be reminded at some interval that there’s still an open issue,” he says. This reminder is similar to one that a physician would receive from a transcriptionist or a CDI specialist. If a physician ignores a query, it should remain present as the physician continues to document care related to that patient. If other physicians treat the patient during the course of the stay, they should also see—and have the ability to respond to—the unanswered alert, Farrell says. “The idea is that at some point, someone does need to be responsible for answering those queries,” she says, adding that CDI specialists may need to follow up to obtain the answer at discharge. Vendors offering real-time prompts should provide a detailed audit trail for each physician that includes the types of questions asked as well as their responses or lack thereof, Farrell says. As documentation improves, there’s always the possibility that a hospital might want to turn off a certain prompt; however, in some facilities, this may not be a viable option, she says. For example, in teaching hospitals, frequent turnover might prompt hospitals to simply leave the prompts activated. Experts say being able to customize the real-time prompt technology to individual hospitals and physicians will be a key to its success. “I think you need to tailor it to individual physicians, but you need to be able to do it automatically. You can’t sit there and do this manually,” says Fritsch. As with Facebook and other websites that give users the ability to “like” or “dislike” certain features or pages, the real-time prompt technology should also offer this option so physicians can help teach the program what works best for them, Fritsch says. Vendors must also be able to customize the technology to prevent more seasoned physicians whose documentation is acceptable from receiving the same prompts as residents who are just beginning to learn documentation requirements, he adds. Allowing physicians to choose the workflow with which they’ll use real-time prompts is vital, Farrell says. For example, some physicians may prefer to use real-time prompts with back-end speech recognition in which they’d receive a query prompt when reviewing and signing a document that a transcriptionist has already edited. “It’s a little bit removed from their dictation process, but it’s very closely tied to their review of that document. The idea is that as physicians are thinking about the patient and looking at the note, they’ll be much more likely to respond to those queries,” Farrell says. MacLaren says although the back-end approach can be helpful, it’s technically not happening in real time because it still requires the physician to reopen the note, reread the information, and respond as much as a day or more later. However, anecdotal research indicates that physicians seem to appreciate having the choice. The University of Utah Health Care’s concurrent CDI program includes three physician advisors, a surgeon advisor, and five pairs of coders and CDI specialists. The hospital implemented its CDI program approximately five years ago and initiated back-end speech recognition in its inpatient setting in 2011. Some physicians have struggled with CDI since the formal program began, while others have excelled, Tohara says. However, during the beta test of the real-time prompts, she says physicians generally appreciated being able to answer questions while looking at the document rather than having to respond separately to an e-mail or open a separate document within the EHR. “They like the query questions. It makes them think,” says Donna Matthews, data integrity manager for HIM, adding that the technology makes physicians more aware of their progress. As they respond to the queries, the system learns and adapts to them, and the number of queries actually decreases, she notes. Experts agree that real-time prompts could never replace human interaction. “It’s not going to catch every error. It’s not going to be perfect. And it’s not going to work for every doctor,” says MacLaren, adding that as with any major technological change, hospitals must start small, set realistic goals, and involve CDI specialists. If implemented thoughtfully, the technology has the potential to free CDI specialists to concentrate on more complex documentation improvement efforts, which will be especially helpful during the transition to ICD-10, says Farrell, adding that many HIM professionals are concerned the transition will result in more queries and increase the need to hire additional staff. Automation can present a cost-efficient option to aid in the transition, she says. At the University of Utah, real-time prompts allowed CDI specialists to place a greater emphasis on documentation quality. “These tools allowed us to focus more on the quality of the data instead of just the completion of the data,” Matthews says. She hopes the technology will also help better capture patient acuity, severity of illness, and risk of mortality. “Our physicians are becoming very aware of this. Does the documentation really show how sick patients are? They’re seeing a lot of comparative data. We believe this will positively impact that. That is a real motivator for our physicians here,” Tohara says. As with any CDI program, the information on which questions are based is only as good as the available documentation, Keppler says. For example, if a physician dictates an incorrect dosage and there is no documentation with which to compare it, then the error will continue to exist unless a provider or a CDI specialist is intuitive enough to recognize the mistake. The real-time prompt will not catch the mistake, Keppler says. Tohara says the University of Utah would like to use real-time prompts to capture not only adjectives for greater specificity but also underlying causes of diseases, links between disease processes, and ICD-10 concepts such as laterality and episode of care. Hospitals may also begin to use real-time prompts for predictive analytics, says Keppler, who hopes the technology will eventually be able to analyze documented symptoms, diagnoses, medications, and other information to be able to predict complications and side effects. Flanagan expects EHR vendors will integrate real-time prompt technology to make it a better fit with their user interfaces. Several vendors are already doing this with products that Nuance is currently testing at various beta sites, he says.